Set in Birkerød, Edge of Nature features accommodation with a garden, free WiFi, a shared kitchen, and luggage storage space. 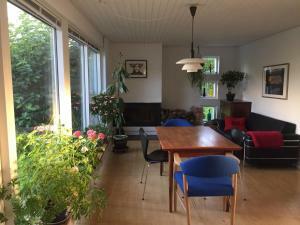 The villa features garden views and is 13.7 miles from Copenhagen. Leading onto a terrace, the villa consists of 5 bedrooms. 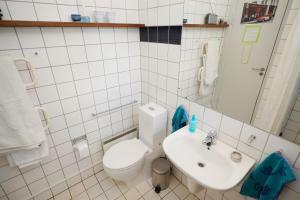 The accommodation is fitted with a kitchen with a dishwasher and an oven. The villa offers a children's playground. If you would like to discover the area, hiking is possible in the surroundings. Kastrup is 17.4 miles from Edge of Nature, while Helsingør is 13.7 miles away. Copenhagen Airport is 17.4 miles from the property. 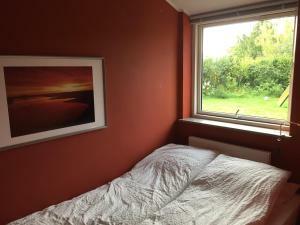 Set in Birkerød, Edge of Nature features accommodation with a garden, free WiFi, a shared kitchen, and luggage storage space. 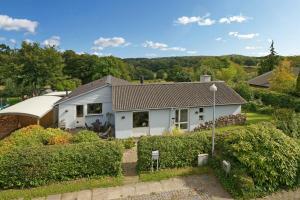 The villa features garden views and is 22 km from Copenhagen. Leading onto a terrace, the villa consists of 5 bedrooms. The accommodation is fitted with a kitchen with a dishwasher and an oven. The villa offers a children's playground. If you would like to discover the area, hiking is possible in the surroundings. Kastrup is 28 km from Edge of Nature, while Helsingør is 22 km away. Copenhagen Airport is 28 km from the property.